I thought about that. Why he was asked that question when he was obviously a highly qualified and experienced candidate with a huge background and lots of runs on the board? What’s the question driving at? Sometimes it seems that HR people want to hear responses so that they won’t hire great people. I know there must be some deep psychology behind that question, I just don’t know what it is, and I’m not criticising the HR person here. I’m sure they know why? I get up for all the aforementioned reasons. And I’m lucky … I do love my work. I don’t care what anyone else thinks. Doing the absolute best that I can is just something that was hardwired in me by parents and circumstances. But the barriers are put up. The hurdles to jump over. People don’t score well in interviews for many reasons. Possibly the same reasons why different kids get bullied at school. They are different, unique, smart, sometimes odd, and … they don’t run with any pack. As we all know, a lot of those kids went on to start up global phenomenons in the fields of art, business, music. Let’s try and let the sometimes awkward ones in and lead them well. Stop putting up the hurdles. Give them the confidence to do what they do best. I believe it’s called constant improvement. 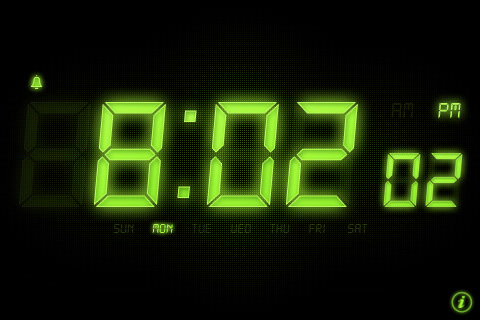 I just noticed that the clock is set to wake me at 8.02 PM. Better change that.